While your teeth can withstand a lifetime of munching, crunching, mashing and gnashing, years of wear can eventually damage the structural integrity of your teeth. If you’ve suffer from cracked, broken, loose or missing teeth, our Seaside restoration dentist, Dr. Scott Santos, can help restore the form and function back to your smile. Using the advanced technology of CEREC, Dr. Santos can provide patients with dental veneers, crowns, inlays and onlays in just one appointment. 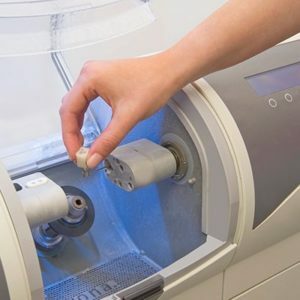 The CEREC CAD/CAM system has been in use by dentists for over 30 years and over 250 scientific studies have verified the clinical success associated with CEREC tooth restorations. The CEREC restorations look and feel just like your natural teeth. Unlike silver dental fillings that contrast against the natural appearance of your teeth, CEREC fillings or restorations are created using ceramic porcelain so they blend seamlessly into your smile. CEREC procedures require less time, less drilling, and fewer injections as well. Don’t let an uneven smile rob you of your self-confidence. Schedule a consultation with Dr. Santos to learn more about how dental restoration treatments are right for you. As their name implies, dental bridges literally bridge the space created by one or more missing teeth. A bridge is typically constructed of two or more crowns for the teeth located on either side of the existing gap. The teeth used to help anchor a bridge are known as abutment teeth. A false tooth or teeth are then inserted into the gap between the abutment teeth. These false teeth are called pontics and can be made from a variety of materials, including gold, alloys, porcelain, or a combination of all three. Dental bridges are supported by natural teeth or implants. Prior to installing a bridge, a member of Dr. Santos’ team will first prepare the teeth on either side of the space before taking a dental impression of your teeth that will be sent off to the lab. Between appointments with Dr. Santos, a temporary bridge will be provided for the protection of your existing teeth until the permanent bridge arrives. Practicing quality daily dental hygiene habits of brushing and flossing will keep the bridge and surrounding teeth healthy and clean. Good dental care of these teeth is critically important, as the bridge relies on the neighboring teeth for support. Dental implants offer a convenient and lasting solution to patients suffering from tooth loss. Dental implants are fixed using titanium bases that take the place of tooth roots, and are surgically placed into your jaw bone to act as an anchor for a crown or denture to fit over. Dental implants look so natural that most people can’t tell the difference between an implant and a natural tooth. Dental implants offer a variety of advantages to patients, including increased stability and functionality. Dental implants tend to look and feel better than traditional dentures or dental bridges and offer the same force for biting as bridges that are fixed. When properly cared for and maintained, dental implants can last a lifetime. A dental implant requires no alterations to the adjacent teeth. Quality oral hygiene is required for implants to stay healthy and clean. 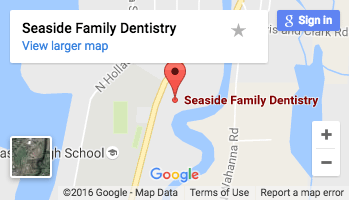 It’s also important to regularly visit Seaside Family Dentistry for regular cleanings and exams to protect the long-term functionality and durability of dental implants. 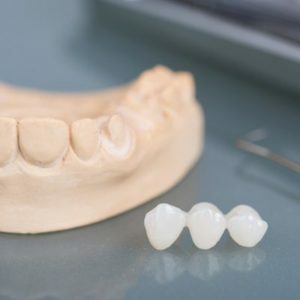 Traditional Complete Dentures – This type of denture is fitted for the natural anatomy of your mouth and replaces all of the upper and/or lower teeth. Partial Dentures – A removable partial denture attaches to your natural teeth with clasps that keep them in place, completing your smile by filling out the spaces created by missing teeth. Your natural teeth are used as stable supports for removable partial dentures instead of dental implants. Schedule a consultation with Dr. Santos to determine which type of denture is right for you. Beneath the hard outer layer of your teeth, beneath and the enamel and dentin, is a soft tissue referred to as the pulp. Inside the pulp the connective tissues, nerves and blood vessels that allow your tooth to function run to the root of your tooth. In a fully developed tooth, the tooth can continue on without the existence of the pulp because the tooth continues to be nourished by the surrounding tissues. 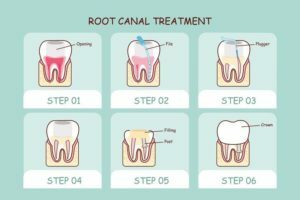 Despite the notions that many people have about root canals, modern root canal treatments are quite similar to having a routine filling placed. The entire procedure can usually can be completed in just one or two appointments, depending on the condition of your tooth. You can expect a comfortable experience during and after your appointment.